The rise in UK air and drone strikes in Syria since September 2018 has been laid bare in the MoD’s latest responses to a Drone Wars UK FoI request. 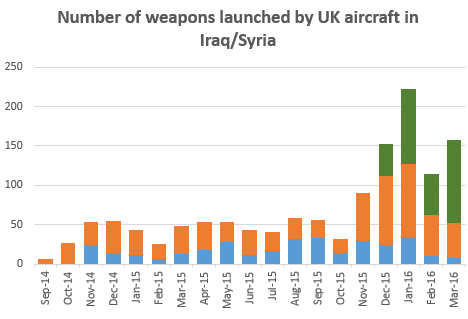 The number of British strikes in Syria per month rose to its highest ever amount (75) in December 2018. 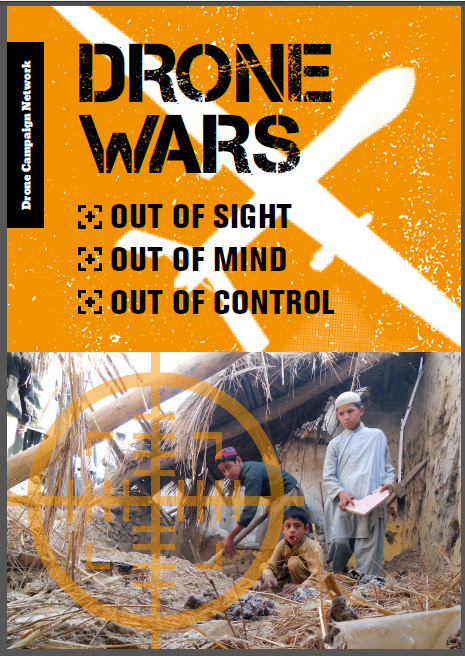 UK Reaper drones continued to operate in both Iraq and Syria during 2018, however there were no UK drone strikes in Iraq. While the MoD continues to insist that its drones are primarily for intelligence and surveillance operations, Reapers fired more weapons in 2018 than the UK’s dedicated strike aircraft, the Tornado, and almost as many as Typhoons. 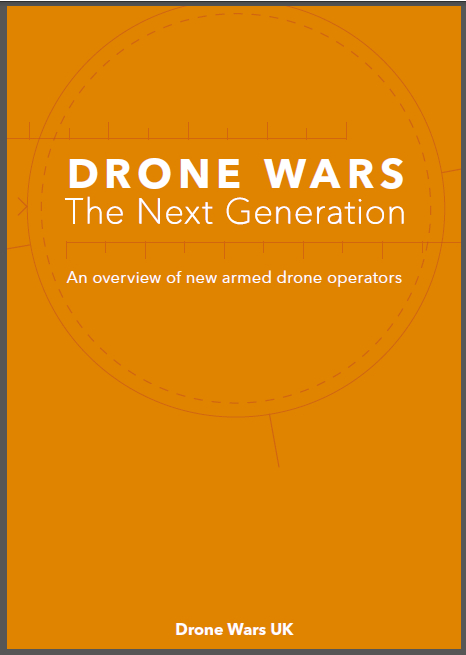 27% of UK strikes were carried out by drones during 2018. Overall, a quarter of all British air strikes against ISIS have been carried out by drones. Although ISIS has been virtually defeated as a military force in Iraq and Syria, with its territory reduced to a few square miles in the Euphrates Valley (indeed this weekend the final battle is reported to have begun) UK Ministers and defence officials insists that UK strikes will continue until the group is absolutely and totally defeated. This though other nations are withdrawing their forces and senior UK commanders acknowledge that ISIS is no longer a credible military force. While the UK’s Tornado’s have been withdrawn, UK drones and Typhoons will continue to launch strikes. In the case of British Reaper drones, that’s approaching 12 years of continuously launching strikes.